About a week ago I tried Lightlife’s Smart Dogs for the first time. I’ve tried other veggie dogs before, and I usually end up satisfied with product. There’s always an element of hotdoginess that’s usually missing in them, but they are typically edible. But, sometimes, I don’t want these veggie dogs to be merely edible. This former eat eater likes when the vegetarian version has a meatiness that’s jaw-dropping. I know I can’t expect the world in veggie products, but I do still have a standard. As a first-time consumer of any vegetarian product, I hope to be a regular. Okay, let’s do this review! Texture: The texture of this vegetarian hot dog is sort of similar to the real deal. However, I’d say this dogs are a little bit more rubbery and bendy, even cooked. You know how hot dogs when grilled or fried are much firmer? It didn’t happen with this guy. But it’s okay! This was the least of my worries, tbh. Overall, I give texture a solid 8! Shape: Looks like a hot dog. Even the packaging it came in looks like a hot dog package. If it didn’t say “veggie” on its package, it could have fooled any processed meat lover. Thumbs up! 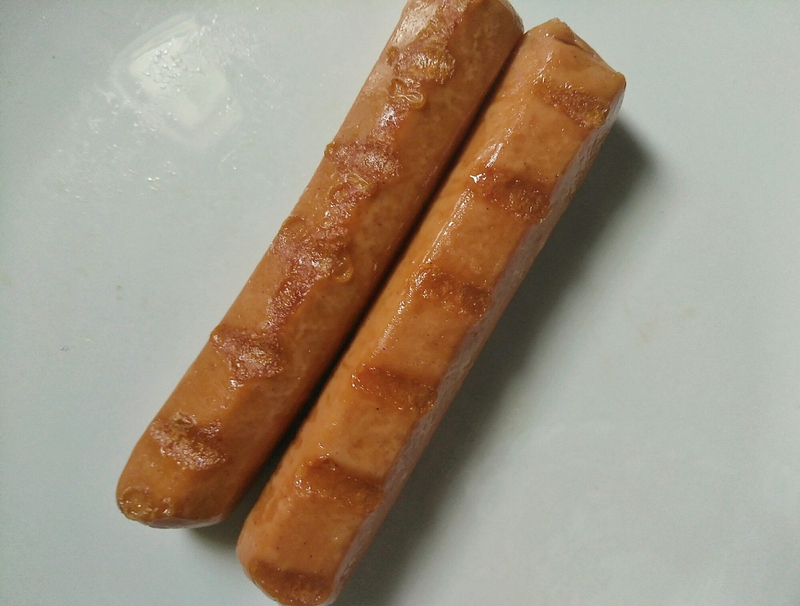 Taste: These meatless franks taste just like hot dogs! The only thing they were missing were the juiciness that comes from their real meat-y counterparts. However, I was able to get passed it. They were good. Kind of on the dry side, but still good. Overall: I would buy these dogs again. And that means they are good enough to purchase again! The only thing I would improve on these is for them to cook/burn a little better over fire. Also, it would be cool if Lightlife could figure out a way to make them a little more juicy. I recommend these dogs. When laid out on a bun and dressed in ketchup and mustard, they taste like the real deal!